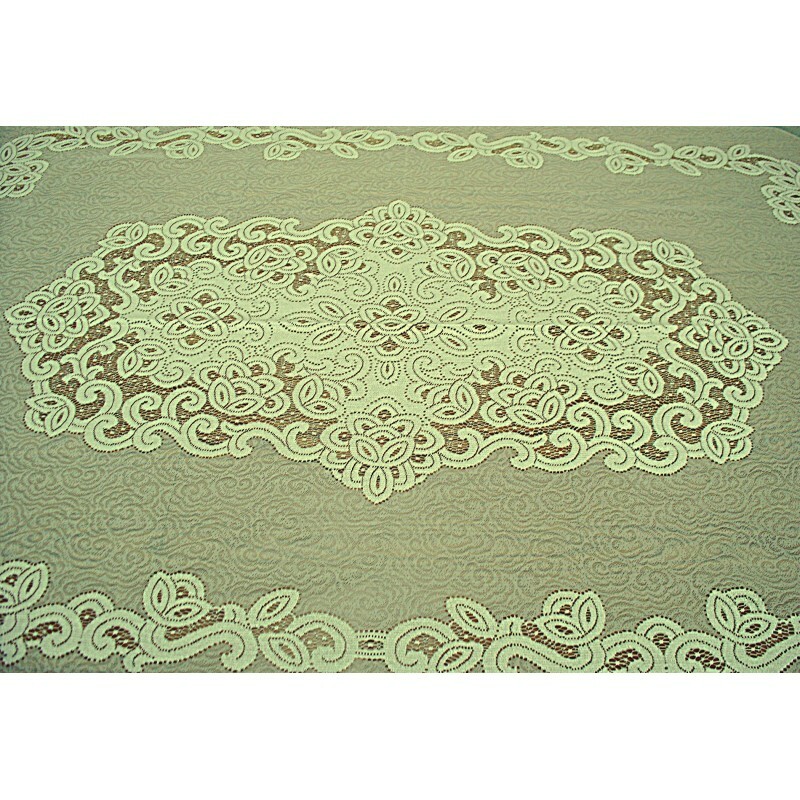 Presenting a beautiful cut-out lace look center medallion against a sheer paisley background. 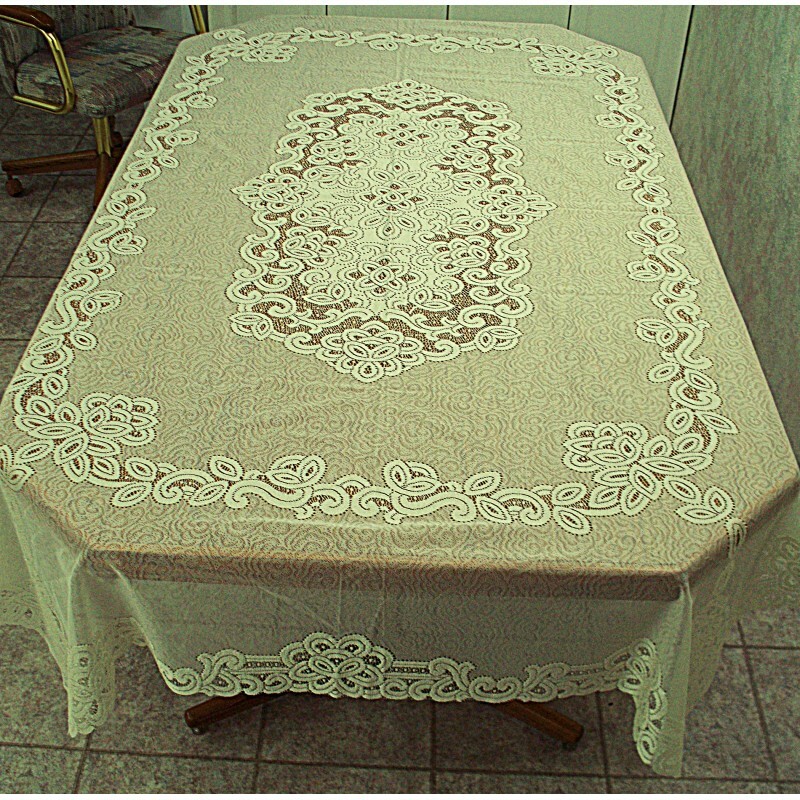 Adding the finishing touch of cut-out look lace completely around the outer edge and bottom of the tablecloth adds style and elegance to this lovely tablecloth. It is not a heavy weight tablecloth but more of a medium weight. Very pretty to see in person! 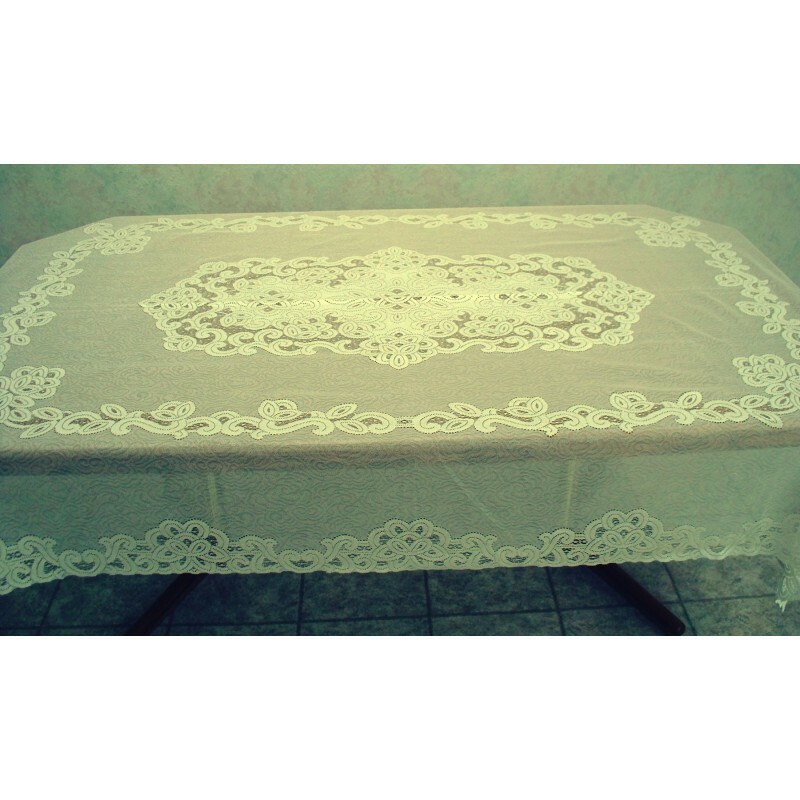 Size: 60x90. Will fit a table size up to a 48 inches wide x 74 inches long. *No credit cards will be accepted over the telephone.